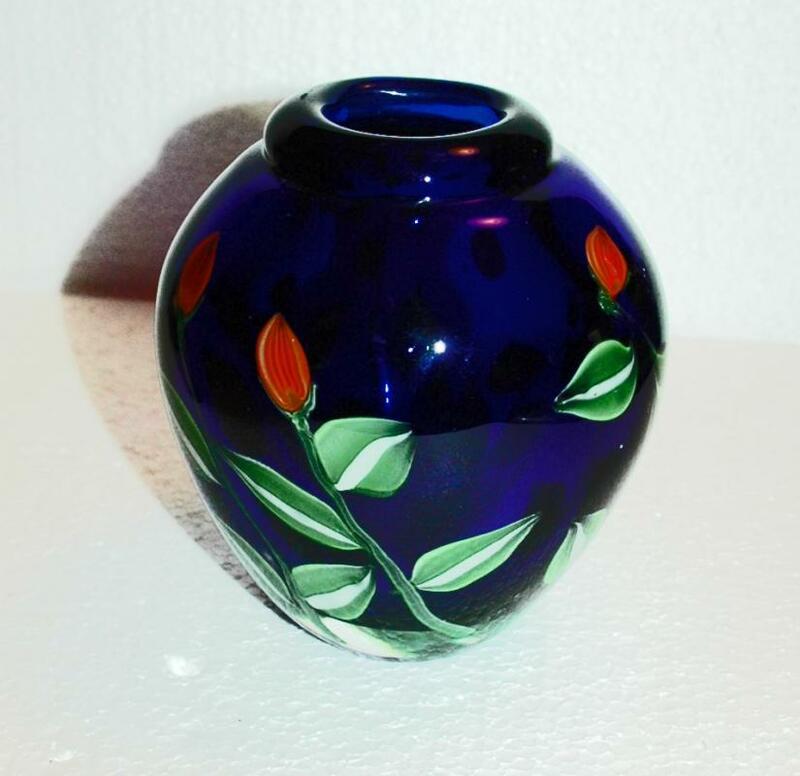 Arthur Kusak Art Crystal Vase Cobalt Blue with Cased Flowers Signed . 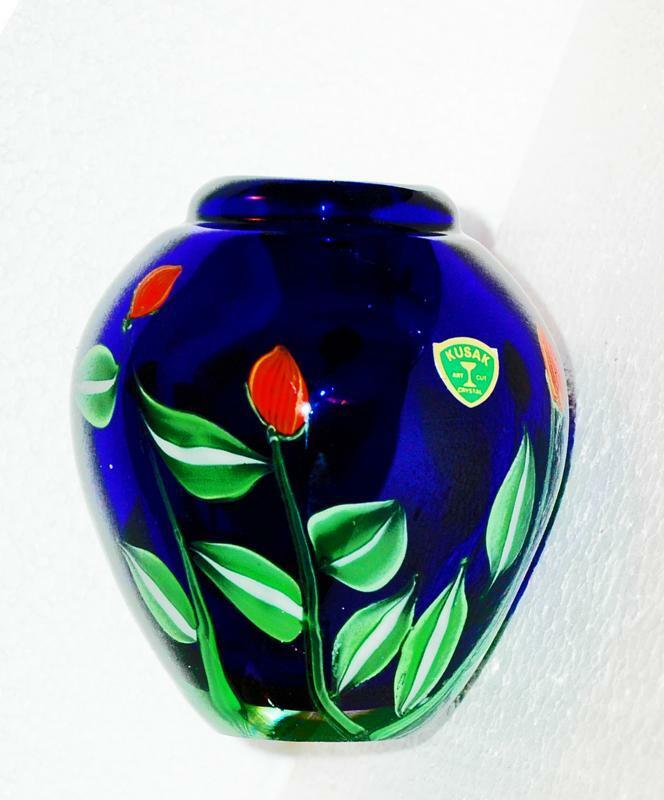 This award winning glassworks company was founded a 100 years ago in Seattle Washington. 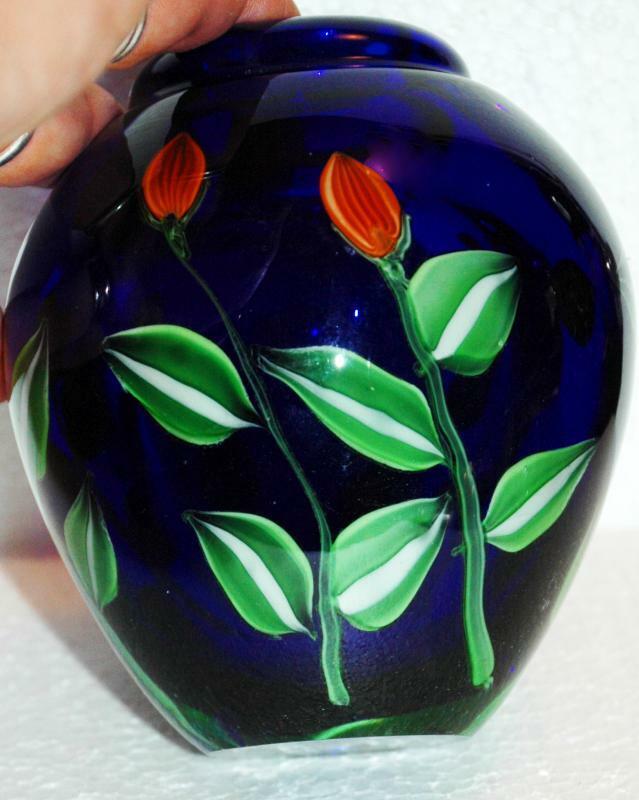 Mainly specializing in engraving and cut glass but there have been a few hand blown crystal pieces created and this is one of them. 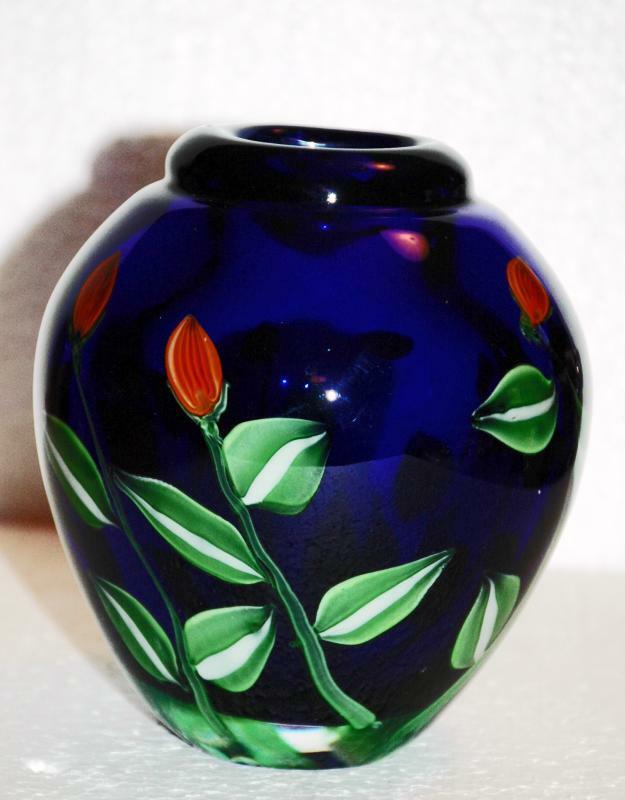 It is a stunning cobalt blue crystal; cased glass with remarkable flowered encased in the glass with green stems with red buds. 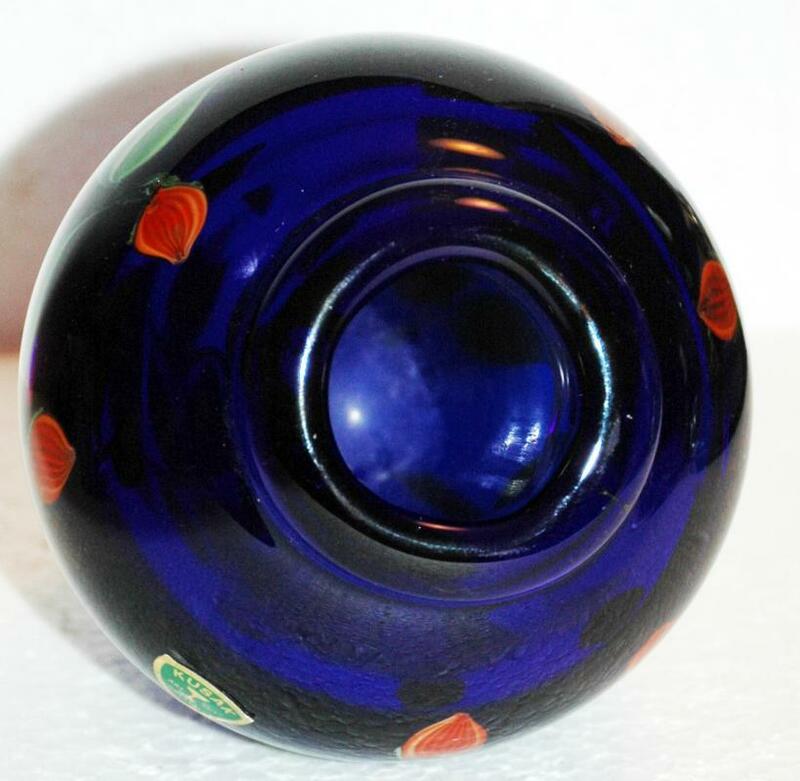 It is 5.5" tall and 4" wide. 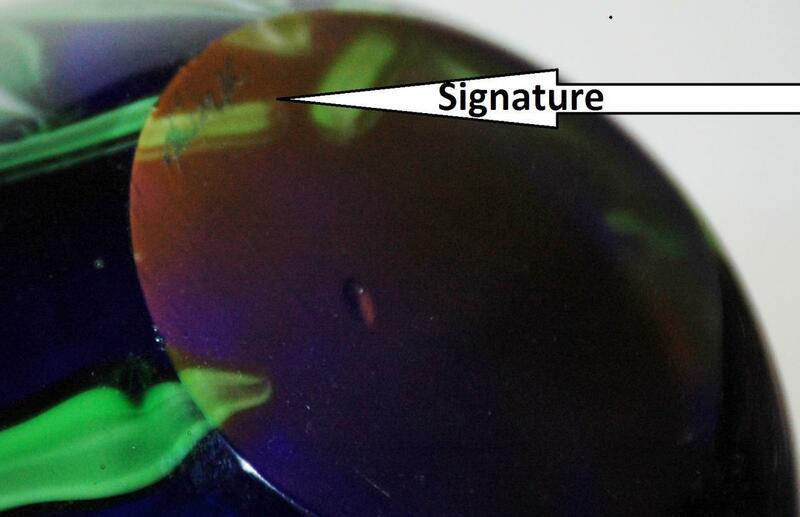 It has the foil label as well and an engraved signature on the bottom. The condition is excellent. 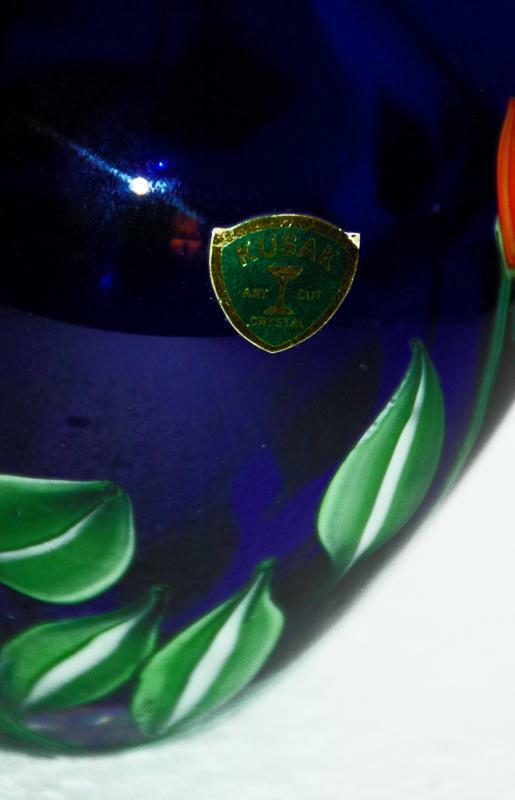 Items Similar To "Kusak Art Cryrstal Vase Cobalt Blue with Cased Flowers Signed / S..."